BUCKEYE, Ariz. - A 2-year-old Arizona boy was hospitalized in serious condition after shooting himself in the face with a gun that police said may have been hidden under a pillow on a bed. Police said foul play is not suspected in the incident and they're still trying to determine exactly what happened. 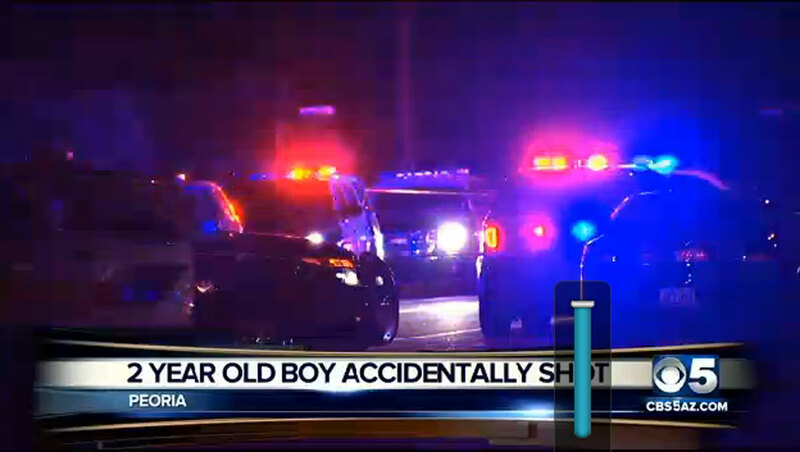 According to police, the shooting occurred Thursday night while the Peoria, Ariz., boy and a 7-year-old brother were being watched by a grandmother and aunt. Police spokesman Jay Davis says initial information indicates the grandmother was playing with the boy near the bed when he grabbed the gun and shot himself. It's unclear whose gun it is or if anyone will face charges. The boy's father was not home at the time. On Friday, the boy was in critical but stable condition at Phoenix Children's Hospital, CBS affiliate KPHO reported. "The bullet struck his cheek and exited his head," Sgt. Shari Howard wrote in an email to media outlets. "A portion of his skull was removed to alleviate the swelling. Doctors believe it will be another week before they can give an updated prognosis."